The two main policy initiatives in the manifesto are putting a price on carbon and investing in clean energy and technology. But how effective will these initiatives be in actually resolving the problem of climate change? Paris 2015 ended on an optimistic note. Most countries, Canada included, went away happy – some even believing that they had accomplished something. To add icing to the cake, recent global emissions reports, defying predictions, indicate that in 2015, as in 2014, global emissions had stabilized. BP Energy Statistics reported in early June that world carbon dioxide (CO2) emissions from energy use had grown only 0.1 per cent over 2014, even though world consumption of energy grew by 1 per cent and global GDP is estimated to have grown by 3 per cent. Developments in 2015 gave a huge boost to the hope that the world is beginning to decarbonize – not just some developed nations. Unfortunately, people entertaining these happy thoughts received a somewhat rude awakening in May 2016 with reports that not only was the global concentration of carbon dioxide in the atmosphere continuing to rise (as would be predicted as long as emissions are above zero), but the increase is accelerating. Between May 2015 and May 2016 the measured carbon dioxide in the atmosphere rose from 403.94 to 407.70 parts per million (ppm) (figure 1). On a calendar year basis, the atmospheric concentration of CO2 in 2015 was on average 3.05 ppm higher than in 2014, an increase well above the average increase since 1979 or even the average increase for the last five years. These developments are important for it is, after all, the increase in atmospheric concentration rather than global emissions that govern radiative forcing, changing energy balance and climate change (especially changes in global average temperature). The rapidly rising atmospheric CO2 concentration and the stabilizing global emissions are not necessarily inconsistent. It is possible that the oceans and biosphere, which together take up about half of the CO2 emitted annually into the atmosphere, are now becoming increasingly saturated, absorbing somewhat less than half of annual emissions. 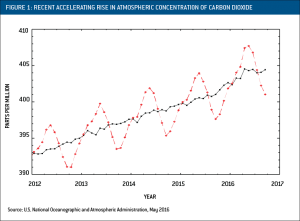 If that occurs, the atmospheric concentration could rise rapidly even if global emissions begin to decline. However, there is no clear sign of such a development – although it is probably too soon to tell. Another possibility is that the recent increase in methane emissions may play a small role, as only about 15 per cent of the methane emitted annually is oxidized when it comes in contact with the hydroxyl radical. But because methane is measured in parts per billion rather than parts per million, any such effect on the concentration of atmospheric carbon would be second-order negligible. Still another possibility is an increase in forest fires. These have been particularly numerous in Southeast Asia where hundreds of square kilometres of forests have been burned to make way for palm oil plantations. In this case climate change policies may be at fault. The carbon released by the fires is not included in individual country greenhouse gas (GHG) inventories; nor is the carbon released as a result of combusting the energy-embedded products of palm oil. Moreover, the treatment of biomass and biofuels as carbon neutral is mistaken, once one approaches them on a lifecycle basis. There is considerable energy used in planting, pest control, harvesting, transporting and conversion to liquid form. Most of these activities rely on the use of carbon fuels. In addition, there is carbon release when new biomass requires conversion from fallow to energy crops. Treating biomass and biofuels as carbon neutral (which clearly they are not) creates a bias in favor of these forms of energy, accentuated in many countries by large biofuel subsidies. The biofuel problem is not limited to developing countries. High-income countries such as Sweden and Finland are burning wood and carbon-rich peat to generate electricity but do not have to report the resultant carbon emissions as part of their GHG inventory. Similarly, Drax, formerly the U.K.’s largest coal-fired electricity generating plant, has purchased forests in the U.S. state of Georgia where it cuts down trees to be transported to England. Drax then uses the wood, rather than coal, in its thermal generators, the emissions from which are considered carbon neutral. The European Union likes to characterize itself as the leader and conscience of the climate change movement. Despite an outcry by many, including some environmental activists, the EU has self-servingly clung to the fiction that biofuels are carbon neutral. Any suggestion that the EU is engaged in a charade is viewed as a distasteful airing of dirty laundry. This is the climate policy world that Canada is enthusiastically buying into. These events cast a smoky pall, tinged with a touch of hypocrisy. As the Paris 2015 express left the station, the delegates uncoupled the locomotive from the coaches in which they were riding, and accelerated the locomotive by proposing to reduce maximum average temperature increase from 2°C to 1.5°C. The delegates’ ambitions may simply coast onto a siding and be soon forgotten. While each country is given flexibility in its emission reduction pledge, the 200+ participant countries bound themselves to a global average temperature threshold that will be difficult if not impossible to reach. Prior to the conference the goal had been to limit the global average temperature rise to 2°C, which “expert” evidence1 indicated not only would be very difficult to realize but would also require “negative” emissions in the form of air capture of CO2 or (allegedly carbon neutral) bioenergy with carbon capture and storage, technologies that do not now – and may never – exist at scale. Ignoring the huge hurdles in limiting climate change to 2°C, a small group of island nations persuaded Paris 2015 to lower the threshold to 1.5°C. Canada was one of the early supporters of this exercise in enthusiasm run amuck. 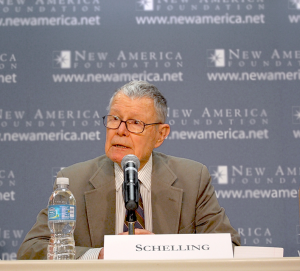 Schelling’s wisdom has made no dent in international climate negotiations. Nor are many aware of another paper by Schelling where he likened climate agreements to the Kellogg-Briand Pact of 1929 in which all leading nations, including Germany, Japan and Italy, pledged not to go to war.3 That pledge was almost immediately honoured in the breach, beginning in 1931 and culminating in World War II. There is another consequence of international climate conferences focused on emission reduction commitments or pledges. Under pressure from climate activists, many political leaders “grandstand” by making overly ambitious commitments where ambition is unmatched by the means to achieve them. The due dates on commitments are typically after the politician who makes the commitments expects to have left office. Ever since Jean Chrétien’s ambitious Kyoto promises, Canada has been guilty of grandstanding. Paris 2015 may have provided additional incentives for such behaviour by calling on countries to exercise increased ambition in their pledges, with little or no concern for the means to make good on that ambition. The Intergovernmental Panel on Climate Change was asked to investigate implications of a shift from a 2°C threshold to 1.5°C and how it could be achieved. Pledging to ends now and worrying about means later seems endemic in climate meetings. Carbon pricing: A way forward? A central plank of Canada’s climate policy is placing a price on carbon emissions. The federal government is prepared to forgo its preference for a national price if each province puts its own price on carbon, whether in the form of a carbon tax (as in British Columbia) or a cap-and-trade program (as in Ontario and Quebec). In this the government has followed the lead of a new nongovernmental organization calling itself Canada’s Ecofiscal Commission (CEC). The CEC is the brainchild of “independent, policy-minded economists” who have taken a lead in promoting carbon pricing in Canada. The CEC’s professed mission is to promote practical fiscal solutions that will “spark the innovation required for increased economic and environmental prosperity.”4 Its prize-winning 2015 report The Way Forward: A Practical Approach to Reducing Canada’s Greenhouse Gas Emissions is filled with useful information on Canada’s climate change–related policies, especially at the provincial level. Significantly, the CEC finds that useful action is possible despite the constitutional impediments to a single national policy. The report supports the view that provincial policies, even ones that lack harmonization or other good interprovincial linkages, can be effective. This expectation of future interprovincial cooperation is in the tradition of climate agreements built on ends with scant attention to here-and-now pragmatic obstacles. A 2007 study by Oxford economist Dieter Helm and colleagues indicated that while U.K. emissions fell 11 per cent between 1990 and 2005 on a production (or territorial) basis, they rose 16 per cent on a consumption basis – a 27-percentage-point differential.6 Several studies indicate that on a consumption basis, Chinese emissions would be 10 to 20 per cent lower than on the officially reported production basis.7 If they do nothing else, these studies sound a warning that emission shifting (or what economists have termed carbon “leakage”) may be large – offsetting in whole or in part the supposed emission-reducing impact of carbon pricing. For its part, the CEC report cites some North American studies to support its contention that carbon pricing is essential and effective. Thus, Duke University environmental economicst Brian C. Murray and colleagues investigated the impact on greenhouse gas emissions (2009–11) of a carbon pricing scheme undertaken by the nine northeastern U.S. states that make up the Regional Greenhouse Gas Initiative (RGGI).8 Another study, by Nicholas Rivers and Brandon Schaufele at the University of Ottawa, investigated the impact of British Columbia’s carbon tax on gasoline demand and by extension carbon emissions generated by gasoline consumption.9 On closer reading, it is not clear that these studies provide evidence of the effectiveness of carbon pricing in actually reducing GHGs emitted into the atmosphere. Here is why. The CEC report notes the finding in the Murray study that, after taking into consideration a myriad of extraneous factors including the recession, the member RGGI states “achieved proportionally greater emissions reductions compared with the rest of the United States.”10 But the CEC fails to note that Murray and his colleagues acknowledged the possibility of an RGGI-induced “leakage” (a shift of emissions-related activities to other states), a possibility the authors investigated in some depth. According to the Murray study, the decline in coal and gas utilization in RGGI is “consistent with RGGI-induced leakage effects.” Furthermore, “policy leakage is plausible … and is potentially of economically significant magnitude,” and “some or all of the reduction in RGGI emissions may be countered by generation and emissions leakage to surrounding states.”11 In short, they make clear that reduced emissions due to carbon pricing in the adopting polity is not evidence that emissions to the atmosphere have been reduced. If they have been reduced, it may not be by anywhere near as much as the emission reduction reported. In the case of the Rivers-Schaufele study of the B.C. carbon tax, the evidence is more limited than might be suggested by the CEC report. Although the study provides evidence that the B.C. carbon tax reduced the demand for gasoline (after taking account of cross-border shopping and vehicle efficiency changes), it does not tell us anything about the impact on industrial and commercial emissions – a curious omission. Of particular interest is the impact on energy/carbon-intensive industries. For example, it is reported that imports of cement from the United States and China rose from 5 to 40 per cent of the market as the B.C. carbon tax rose in stages from $10 to $30 per tonne.12 Unknown is whether mining companies such as Teck, under pressure from the carbon tax, will decide to locate future investments outside of B.C. More telling, and damning, is recent evidence suggesting that any effect of the B.C. carbon tax on carbon emissions is modest at best – and arguably nonexistent. British Columbia’s carbon emissions, in both absolute and per capita terms, began falling several years before imposition of the carbon tax in 2008. For example, the sustainability indicators published by the B.C. government indicate that its GHG emissions (admittedly not quite the same as CO2 emissions) had been falling more or less consistently since 2004 and per capita emissions since 2001 (see figure 2). 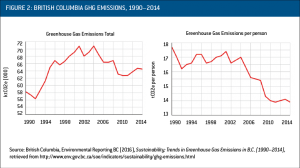 The rate of decline in British Columbia’s GHG emissions between 2004 and 2008 was 1.5 per cent per year, somewhat greater than the 1.1 per cent per year decline from 2008 to 2012 – when, given the recession years 2008–10, we might have expected the decline to be faster than in 2004–08. B.C. emissions have actually risen since 2011. A similar picture applies to per capita emissions. After picking the “low hanging fruit,” British Columbia halted the planned rise in its carbon tax beyond $30 per tonne of CO2 in 2012, with little or no apparent effect and, not surprisingly, little or no economic cost. Had the carbon tax been allowed to continue its steep rise (at $5 per tonne per year), it would have had more effect – but at the same time, picking the fruit higher in the tree would have come at a cost. However that may be, it appears misleading to treat the B.C. carbon tax as a poster child for GHG emission reduction due to carbon pricing. Does carbon pricing induce technological change? If the evidence for the effectiveness of carbon pricing in reducing emissions is mixed at best, evidence of its impact on innovation is almost wholly lacking. This should not be surprising where innovation requires basic research and development (R&D), testing and demonstration (all with important public good characteristics) prior to more price-responsive activities such as commercialization and deployment. A carbon price is highly unlikely to induce risky investment, the success of which is not only uncertain but may take a decade to prove itself one way or another. Furthermore, intellectual property rights to science-driven new knowledge are limited, and basic R&D, testing and demonstration have substantial spillover effects – allowing others to benefit without needing to invest. For these reasons, many of the most important technological breakthroughs in the past several decades, including the invention of radar, jet planes, nuclear energy, lasers, cell phones and the internet, were initially publicly funded, frequently by the U.S. Defense Department. Despite its mission statement relating carbon pricing to innovation, the CEC report did not adduce evidence supporting the impact of carbon pricing on innovation. In fact it did not try. At least the CEC report did not engage in a subterfuge adopted by some in the modelling community who assume away the technology problem by employing a generic carbon-free “backstop” technology. Such models proceed as if some unspecified breakthrough technologies will somehow appear as carbon prices are gradually rising to a level at which the new technologies can be effectively deployed. This is at best wishful thinking. In sum, evidence suggests that carbon pricing is a weak reed on which to build climate policy. A potentially important plank in Canada’s climate policy is investing in “green infrastructure and clean technologies.” If the investments are in basic research and development and in infrastructure technologies, and are not limited to renewable energies, this initiative holds promise. These “upstream” investments, if they pan out, help enable the necessary huge scale-up of low-carbon technologies. Unfortunately, in many countries green investment has meant mainly subsidies for “downstream” manufacture, deployment and production of “green” energy – especially of the renewable sort.13 Such investments typically do little to enable scale-up of low-carbon energies. When combined with carbon pricing, they are a largely wasteful and fruitless means of “levelling the playing field” with fossil fuel energies. Why wasteful and fruitless? Fossil fuels have qualities usually sought in an energy source, such as density (high energy per unit weight – think of gasoline in comparison with batteries), areal concentration in their extraction (an oil well as compared with a large wind farm), and availability when needed (able to generate power when the sun is not shining and the wind not blowing). These qualities are lacking in solar and wind, the fastest growing (because subsidized) renewable energy sources. Putting a price on superior sources of energy while subsidizing inferior ones may be appealing to those who are mainly concerned with punishing behaviour that harms the environment. However, it will be a hard sell for most people whose demand for energy is compelling. Taxing a virtual necessity when good substitutes are not available should set off economic alarms as well as political red flags. Unfortunately, there is a widespread view in the climate change community that the necessary low-carbon technologies are available and ready to be deployed, and that fundamental technological changes (including new sources of low-carbon energy) are not needed.14 In other words, energy efficiency plus renewables will do the trick – or mostly so. Against all the evidence, some even allege that large-scale storage for intermittent wind and solar energies is not needed.15 These unsupported claims also implicitly assume that the energy technology gap is small – that current renewable energy technologies are efficient and scalable enough to displace almost all fossil fuel use. But what if the energy technology gap is large? Numerous studies, beginning with the path-breaking work of New York University physicist Martin Hoffert and his colleagues, have shown that not only is the energy technology gap large, but it probably requires several important technological breakthroughs.16 In this context, providing downstream subsidies to low-carbon technologies that are not sufficiently scalable without accompanying technological breakthroughs is debatable. And so too for carbon pricing! While potentially capable of inducing the deployment of some low-carbon technologies already on the shelf, a carbon price is unlikely to have more than a limited impact on emissions. It is not clear where Canada stands on the need for breakthrough technologies. Thus it is not clear whether Canada’s green investment plank will lead to constructive support for basic research and development investments or essentially cater to the ongoing rent-seeking by downstream investors in solar, wind and biomass energies. More pointedly, is “green” limited to renewable energies, or does it also include nuclear and carbon capture and storage (CCS)? The Conservative governments in Ottawa and Alberta got precious little credit from the Canadian public for their investments in CCS. Globally, consider the following: since 2000, the huge increase (from very low levels) in the relative shares of non-hydro renewable energies (NHRs) has been almost wholly at the expense of the global energy share contributed by carbon-free nuclear power. The increase of 2.2 percentage points in the share of NHRs (from 0.55 to 2.77 per cent) between 2000 and 2015 has been almost matched by a 2.0 percentage point decline in the share of nuclear energy in global energy consumption.17 As a result, the share of fossil (carbon-emitting) energy in global energy consumption has remained between 86 and 87 per cent from 2000 to 2015, although in the latter year it had “fallen” to the lowest part of that range, 86.0 per cent. Energy statistics tell a depressing story. 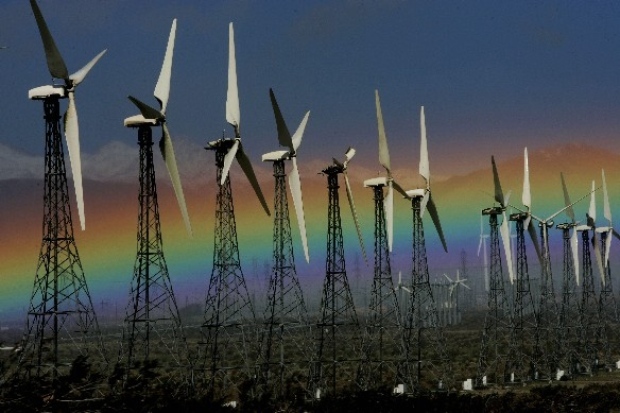 Climate policy activists push rapid growth of intermittent NHRs (e.g., solar and wind). In the absence of large-scale storage, their ability to displace fossil fuels is limited. To accommodate intermittent NHRs, many utilities now require increasing backup capacity, typically from fossil fuel “spinning reserve.” This has led countries like Germany with subsidized NHRs to increase fossil fuel capacity and experience high power prices. Meanwhile nuclear energy, the most important and scalable low-carbon energy source, is pushed to the sidelines. This is partly an understandable response to Fukushima, but in no small part it is due to an antinuclear movement that attempts to cover its tracks with the fiction that solar and wind energy make nuclear energy redundant. Leading climate scientists, such as James Hansen, Tom Wigley and Kerry Emanuel, are actively pushing a nuclear agenda as an indispensable contributor to meeting global warming commitments. And Bill Gates is helping to fund the development of promising new advanced generation 3 and 4 nuclear energy designs. The facts suggest that the low-carbon energy technology gap is large and the technologies needed to fill it are neither ready nor adequate nor scalable. The cost of brute force mitigation – that is, substantially reducing emissions when sufficient low-carbon energy alternatives are lacking – could be very large indeed.18 Technologically, Canada could substantially lower its carbon emissions – for example, through large-scale hydro investments and immediate substitution of natural gas for coal power production. However, doing so would be of little use if much of the rest of the world is unable to do the same. In this respect Canada’s domestic policies should be cast with a global view in mind. If Canada really wants to help reduce global emissions, it will join with other technologically capable countries to develop breakthrough technologies capable of eventually displacing fossil fuels globally. Viewed this way, the case for carbon pricing as an important GHG mitigation tool has not been made. There is still a place for a carbon price as an ancillary instrument. A low, slowly rising carbon tax could be used to raise funds to finance the development and testing of breakthrough technologies and to send a forward price signal to deploy new scalable and competitive technologies when they reach the shelf.19 But taking this route requires patience, which is in short supply among climate activists and politicians. Canada’s climate policy is a mixed bag. This is not to say it is unimportant. Climate change is a very serious, difficult-to-resolve problem. Experience suggests that it is too important and complex to leave to those environmental activists, economists and starry-eyed politicians who are seeking simple solutions. Who is left who cares? Who indeed! 1 See, for example, Intergovernmental Panel on Climate Change, Climate Change 2014: Synthesis Report (Geneva, Switzerland: IPCC, 2014), retrieved here; Glen P. Peters, Robbie M. Andrew, Susan Solomon and Pierre Friedlingstein, “Measuring a Fair and Ambitious Climate Agreement Using Cumulative Emissions,” Environmental Research Letters, Vol. 10, No. 10 (2015), 105004. 2 Thomas C. Schelling, “Some Economics of Global Warming,” American Economic Review, Vol. 82 (March 1992), p. 13. 3 Thomas C. Schelling, “What Makes Greenhouse Sense?”, Indiana Law Review, Vol. 38 (2005), pp. 581–93. 4 Canada’s Ecofiscal Commision, The Way Forward: A Practical Approach to Reducing Canada’s Greenhouse Gas Emissions (Montreal, 2015), retrieved here. 5 Steven J. Davis and Ken Caldeira, “Consumption-Based Accounting of CO2 Emissions,” Proceedings of the National Academy of Science, Vol. 107, No. 12 (2010), pp. 5687–92; Glen P. Peters, Jan C. Minx, Christopher L. Weber and Ottmar Edenhofer, “Growth in Emissions Transfers via International Trade from 1990 to 2008,” Proceedings of the National Academy of Sciences, Vol. 108, No. 21 (2011), pp. 8903–08. 6 Dieter Helm, Robin Smale and Jonathan Phillips (2007) “Too Good to be True? The UK’s Climate Change Record,” retrieved here. 7 See, for example, Yan Yungfen and Yang Laike, “China’s Foreign Trade and Climate Change: A Case Study of CO2 Emissions,” Energy Policy, Vol. 38 (2010), pp. 350–56; Xuemei Jiang, Dabo Guan, Jin Zhang, Kunfu Zhu and Christopher Green, “Firm Ownership., China’s Export-Related Emissions and the Responsibility Issue,” Energy Economics, Vol. 51 (September 2015), pp. 466–74. 8 Brian C. Murray, Peter T. Maniloff and E.M. Murray, Why Have Greenhouse Emissions in RGGI States Declined?, Duke Environmental and Energy Economics Working Paper Series (No.2014-04), 2014. 9 Nicholas Rivers and Brandon Schaufele, Carbon Tax Salience and Gasoline Demand, University of Ottawa, Department of Economics, Working Paper 1211E (2012), retrieved here. 10 Canada’s Ecofiscal Commision, The Way Forward, p. 10. 12 New York Times, March 2, 2016, pp. B1, B9. 13 Brian C. Murray, Maureen L. Cropper, Francisco C. de la Chesnaye and John M. Reilly, “How Effective Are US Renewable Energy Subsidies in Cutting Greenhouse Gases?”, American Economic Review, v. 104, No. 5 (May 2014), pp. 569–74. 14 See, for example, Intergovernmental Panel on Climate Change, Working Group III, Summary for Policymakers: Climate Change 2001: Mitigation, 2001, retrieved here; Mark Z. Jacobson and Mark A. Delucchi, “Providing All Global Energy with Wind, Water, and Solar Power, Part I: Technologies, Energy Resources, Quantities and Areas of Infrastructure, and Materials,” Energy Policy, Vol. 39, No. 3 (2011), pp. 1154–69; Amory Lovins, “Climate Change: No Breakthroughs Needed, Mr. President,” Huffington Post, July 4, 2013, retrieved here. 15 See, for example, Alexander E. MacDonald, Christopher T.M. Clack, Anneliese Alexander, Adam Dunbar, James Wilczak and Yuanfu Xie, “Future Cost-Competitive Electricity Systems and Their Impact on U.S. CO2 Emissions,” Nature Climate Change, Vol. 6 (May 2016), pp. 441–42. 16 Martin I. Hoffert, Ken Caldeira, Atul K. Jain et al., “Energy Implications of Future Stabilization of Atmospheric CO2 Content,” Nature, Vol. 395, No. 6705 (1998), pp. 881–84; Martin I. Hoffert, Ken Caldeira, Gregory Benford et al., “Advanced Technology Paths to Global Climate Stability: Energy for a Greenhouse Planet,” Science, Vol. 298, No. 5595 (2002), pp. 981–87. 18 Isabel Galiana and Christopher Green, “Technology-Led Climate Policy,” in Bjørn Lomborg, ed., Smart Solutions to Climate Change: Comparing Costs and Benefits (Cambridge, England: Cambridge University Press, 2010), pp. 292–339. 19 Isabel Galiana and Christopher Green, “Let the Global Technology Race Begin,” Nature, Vol. 462, No. 7273 (2009), pp. 570–71; Galiana and Green, “Technology-Led Climate Policy”; Isabel Galiana, Jeremy Leonard and Christopher Green, A Technology-Led Climate Policy for Canada, IRPP Study No. 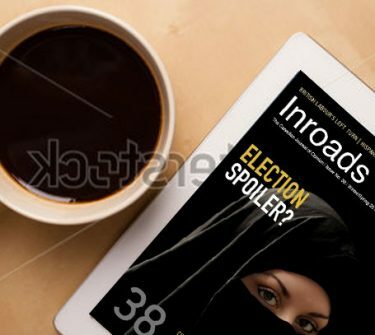 34 (Montreal: Institute for Research on Public Policy, 2012), retrieved here. The author wishes to thank John Richards for his encouragement, helpful comments and edits. He is not responsible for the views expressed herein.